Kings Lodge is an individually built detached home with the spacious ground floor accommodation having oak engineered flooring throughout. Comprising of an entrance hall with WC, large reception sitting room and fabulous sociable kitchen/dining/family room. Fitted appliances and granite worksurfaces. 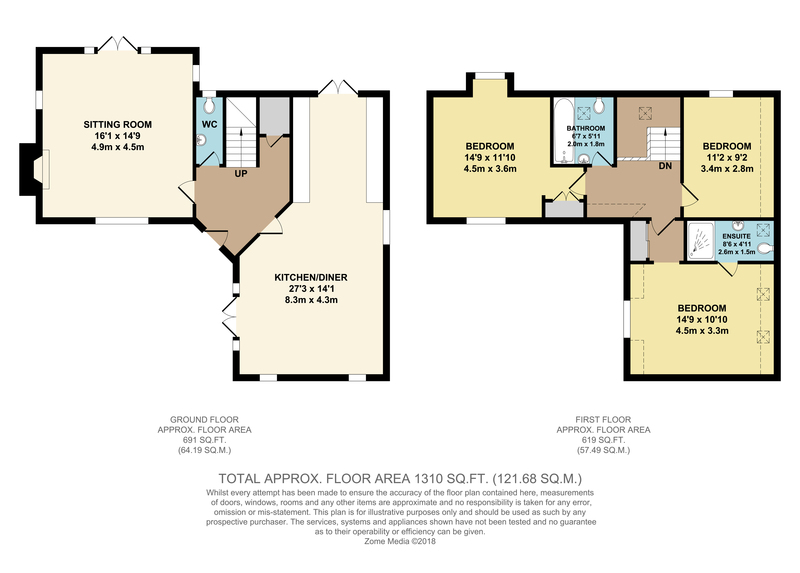 The first floor is fully carpeted with landing area, master bedroom and ensuite shower room, two further double bedrooms and a bathroom with shower. Double glazed doors give access to the garden from both end of the large kitchen and also the sitting room. Built to high standard as well as energy saving building regulations ensuring low running costs. Gas heating and double glazing throughout.